Dips, sauces, spice blends, seasonings – for many of us, these are what makes a dish our own. While most of the magic of cooking happens in the kitchen, having an array of delicious things in your arsenal to finish off a plate just before eating can transform the experience from good to great. Our condiment recipe collection means you can ditch the store-bought options and make your own much superior creations at home. Mayonnaise, ketchup and mustard are the three most popular condiments in existence, but making them yourself means you can add in other flavourings. 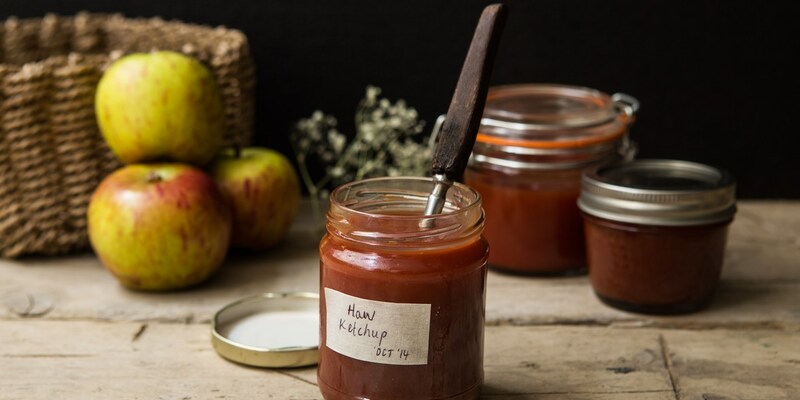 Try Nathan Outlaw’s Lime mayonnaise, whip up a Bloody Mary ketchup or blitz together this fantastic Stout and maple mustard for instant condiment gratification. Hot sauces are a cornerstone in many international cuisines (and for a lot of us make everything better) – try making your own Sriracha, increase the heat with this Scotch bonnet hot sauce or incorporate a taste of Mexico with this Chipotle hot sauce. Seasonings can finish off a dish perfectly, too – try the Japanese Shichimi togarashi or Furikake for an intense hit of umami. Remember that when creating condiments at home, you can (within reason) add any ingredient you want. Use the recipes below as a starting point and experiment with what you like best. You’ll never need to buy a squeezy bottle of sauce again.